Cassava and other indigenous roots and tubers hold excellent opportunities for agribusiness in the Caribbean, helping to reduce the import bill, improve public health and create openings for small-scale farmers and agri-processors. The bakery, animal feed and beverage industries all have untapped potential for using cassava, sweet potatoes, yam and dasheen as a key ingredient. 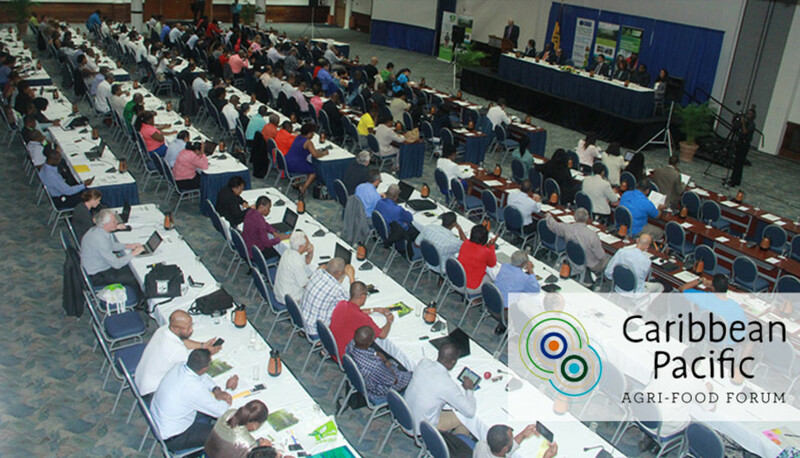 A panel on Opportunities in the Roots and Tubers Industry, held on the first day of the 2nd Caribbean Agribusiness Forum, explored the scope for creating the right environment for the private sector to develop these sectors. "The opportunity is there. The knowledge is there. What we need is to understand how to use those opportunities," said Deep Ford, Director of the Caribbean Office of the Food and Agriculture Organization of the United Nations (FAO) in Barbados. "We are talking about building a cassava value chain in the region; we are talking about diverse products; we are talking about the public and private sectors." Developed properly, cassava could help to replace the previous staple Caribbean commodities of banana and sugar in terms of economic generation, he added. Already, a number of food and beverage manufacturers are starting to use cassava to replace some imported or non-native ingredients. Among these are Red Stripe Jamaican beer and Purity Bakery in Barbados, which is producing bread using 40 per cent cassava flour instead of wheat flour. <>Based on these figures, annual savings in imports could exceed US$237 million, the session heard. By replacing 30 per cent of all corn in products, $131 million could be saved. Some $28 million could be saved by replacing 20 per cent of potato ingredients and $24 million saved by substituting 10 per cent of malt. Increased yields, consumer education and training will be crucial if home-grown roots and tubers are to be more widely used. A project funded by FAO and the International Fund for Agricultural Development (IFAD) is currently working on start-up initiatives for youth, offering business and technology training, as well as grants for cassava-based enterprises. Earlier, during the opening session of the 2nd Caribbean Agribusiness Forum, Isolina Boto, Manager of the CTA Brussels Office and project leader for regional trade, said that promoting agribusiness could help to strengthen sustainable and inclusive development practices and drive export and regional markets in small island developing states (SIDS), especially in the Caribbean and Pacific. "We are looking at documenting best practices, identifying tangible opportunities in new markets and linking them with the policy processes and the financing institutions so that we can upscale or expand them," she said. "A key area where we see important potential is the tourism-related market to source more locally." A session on Promoting Agribusiness Through Value Addition and Product Diversification in Tourist Related Markets reviewed some of the many opportunities available from the dynamic tourism sector. The Caribbean is the most tourism dependent region in the world, with 40 million visitors annually. After accommodation, the second largest area of expenditure by visitors is food and beverages, opening up massive opportunities for producers and providers of rural services. As well as selling local products, a growing number of small enterprises in the Caribbean and the Pacific are attracting tourists to visit farms and plantations, often with benefits to rural communities. The Caribbean island state of Grenada plays a prominent role in agritourism, with the Belmont Estate hosting visitors to witness its cocoa and chocolate, fruit and vegetable, herb and spice production. In the Pacific, Tanna Coffee, in Vanuatu, has developed a facility to accommodate tourists wanting to visit the estate and processing factory. The focus is on empowerment for the more than 700 smallholder coffee farmers and their families. 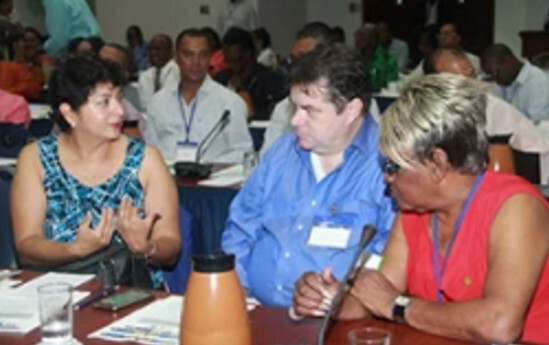 "With agritourism, we are trying to build resilience in rural communities by linking agriculture with tourism," said Ena Harvey, IICA representative and agritourism specialist. "There is potential for agri-processing right up the value chain, including non-food products such as natural mosquito repellents." Watch the photos of the Forum.